Mammography techs help with the early diagnosis of breast cancer. The health care industry is one of the fastest-growing employment sectors in the country. 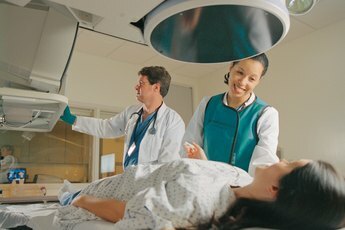 The Bureau of Labor Statistics expects job opportunities for radiologic technologists, including those who specialize in mammography, to grow by 28 percent between 2010 and 2020. Being a mammography technologist can be both physically and emotionally demanding, but it can also be a professionally and financially rewarding career. Mammography technologists operate sophisticated medical imaging equipment that uses low-level radiation to produce detailed images of the breast. To operate efficiently, this equipment must be properly maintained and calibrated. Mammography techs are trained in the routine maintenance and adjustment of their equipment. They might perform quality-control tests to ensure that the equipment is functioning properly. Getting a mammogram is rarely a pleasant experience for most women. 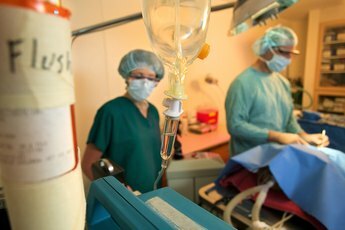 While it can be a routine procedure, mammograms are sometimes ordered to help diagnose a suspicious mass in the breast, which can make it an extraordinarily stressful experience. Mammography techs can provide the necessary human touch to provide encouragement and support to their patients. 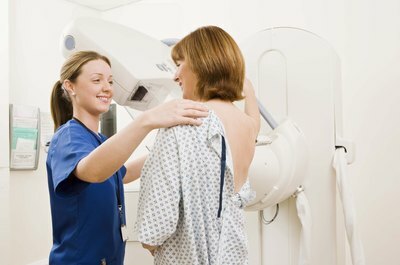 A mammography tech's primary function is to generate medical diagnostic images of the breast. 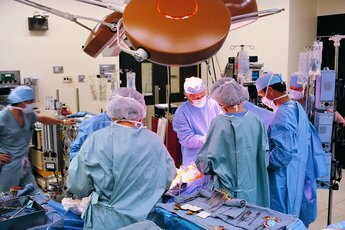 This involves informing the patient of what is involved with the procedure and properly positioning the patient to obtain the best image based on the physician's instructions. Since mammography involves the use of X-rays, following radiation safety protocols is of the utmost importance. As a mammography technologist, you might be called on to help train student mammographers. You might evaluate the quality of the mammographs and consult with physicians on the interpretation of the images. 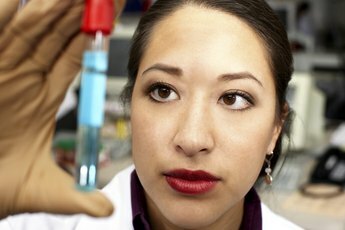 You might be called on to assist in research, development and evaluations of new imaging equipment or techniques. Continuing education to stay current on new developments in the diagnostic imaging field is essential for mammography technologists. What Courses Do You Need to Be an Ultrasound Technician?